Happy Mother’s Day everyone!!! I pray you all have a happy, love filled day!!!! 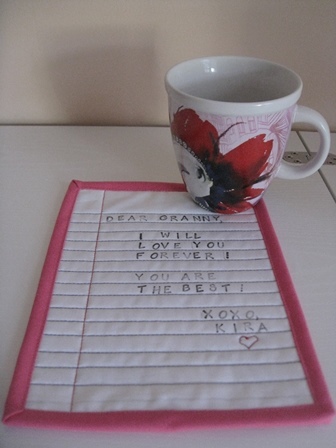 These are two last-minute gifts (I made yesterday) for the grandmothers from Kira!! This one is for my mum!!! Anyone remember loose leaf paper!!! I love how this turned out!! 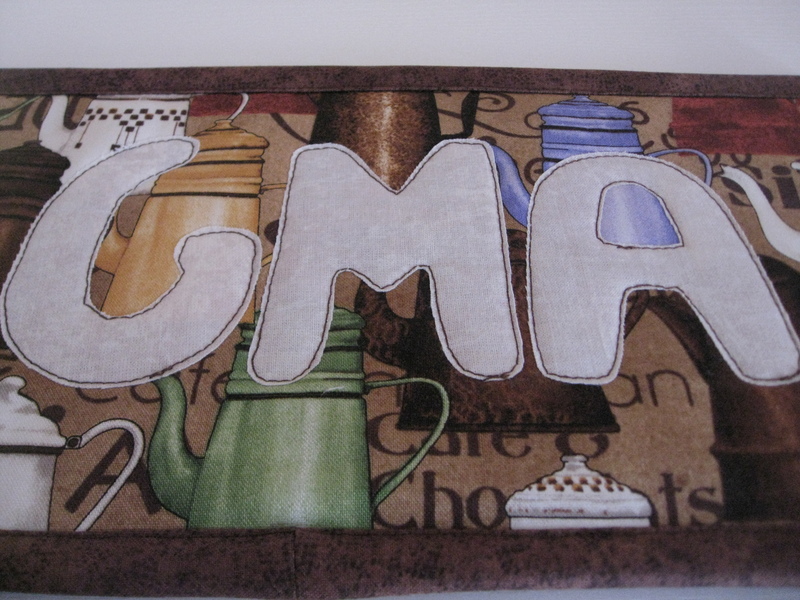 Rubber stamping fabric is the way to go when in a hurry!! It has the look of an old type writer. I also love the back! 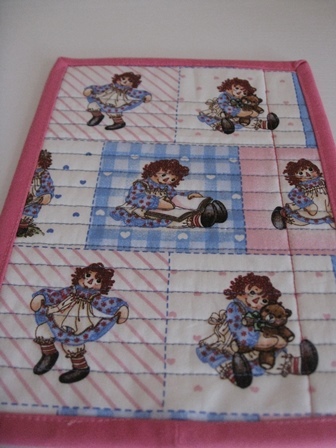 When my sister and I shared a room as kids we had curtains and bed spreads with Raggidy Ann and Andy on them. I don’t even remember where I saw this fabric but it couldn’t be more perfect!!!!! My sister is going to get a big kick out of this !! 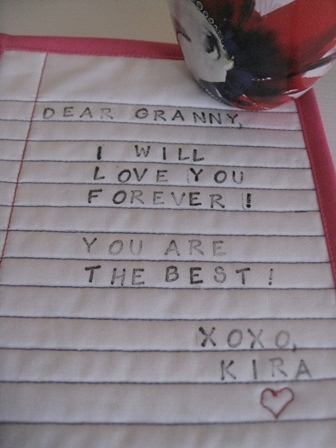 And this one is for Chris’s mom who Kira calls G-Ma. 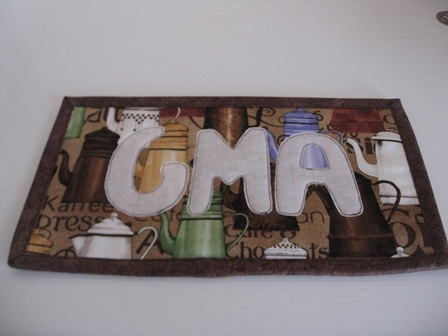 She said the first mug rug I made was too pretty to use so I went a bit darker with this one. No need to worry about getting coffee stains on it!! The letters already have a slightly “stained” look. To Coralie and Barbara…Happy Mother’s Day!!! We love you!! !